Cyber Monday offers keep coming in. 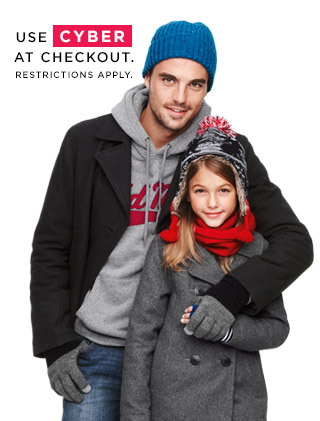 Get 40% off your purchase at Old Navy, Gap, and Banana Republic with code: CYBER at check out. It says it’s the first time ever that they are running this promotion but I bet they get a good response. I personally love Old Navy. This deal actually starts tonight so you don’t have to wait until tomorrow to start clickin’ ! I bought my boys shirts already but think I might take advantage of this deal for some pants and gloves for them too. May as well right?